Înţelegerea mecanismelor imunologice îndreptate împotriva melanocitelor benigne şi maligne reprezintă un subiect relevant pentru cercetare în momentul actual, întrucât creează premisa dezvoltării de noi terapii imunologice atât în melanom, cât şi în vitiligo, cu rezultate promiţătoare. în ultimii zece ani în teza de doctorat, precum și proiectele postdoctorale și articolele de specialitate. Realizează totodată actualizarea materialelor cu cele mai recente informații din literatura medicală cu privire la: structura sistemului imun cutanat şi a funcţiei principalelor componente ale acestuia; mecanismele prezente în autoimunitate, autoinflamaţie şi imunitatea antitumorală cutanate; reacţiile imunologice îndreptate împotriva melanocitelor benigne şi maligne în vitiligo, în melanom (regresie) și în nevii melanocitari (nevii Sutton). 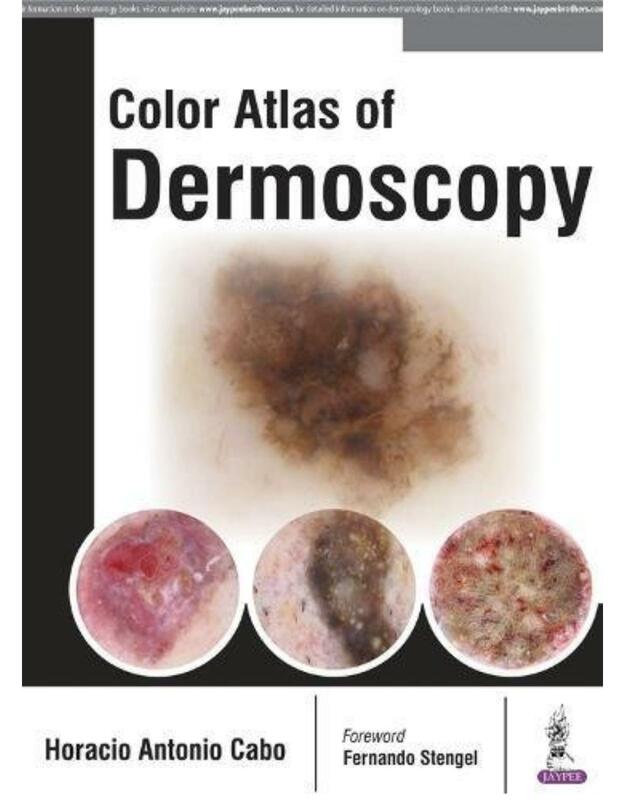 Pocket-sized for easy portability and reference, this highly practical, full-color resource provides expert guidance in the diagnosis and treatment of the dermatologic conditions most often seen in everyday practice. 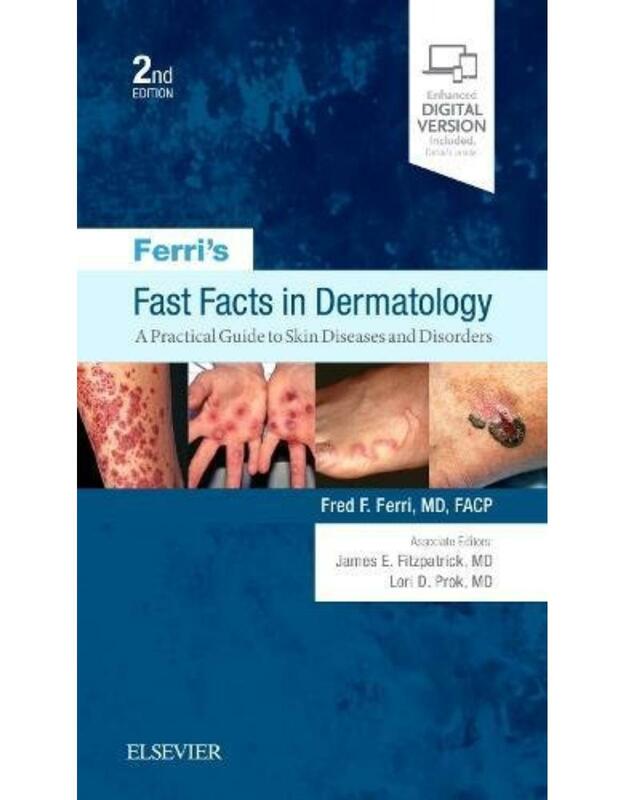 Veteran author Dr. Fred F. Ferri, joined by University of Colorado dermatologists James Fitzpatrick, MD and Lori Prok, MD, present this enhanced, updated edition to aid medical students, residents, practicing physicians, and allied health professionals who deal with disorders of the skin. 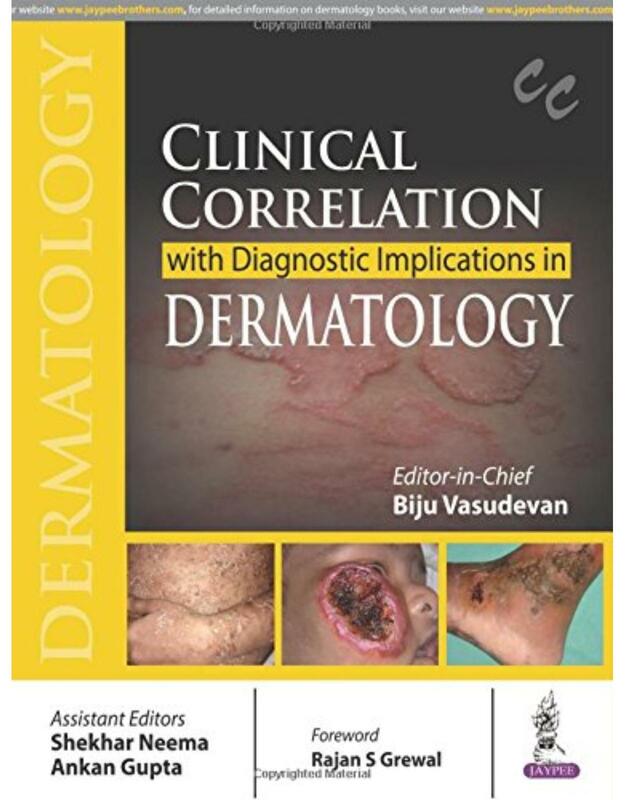 Devotes a section to practical dermatologic differential diagnosis, providing a quick reference to differential diagnoses of common complaints. Covers each topic in a consistent, practical format: General Comments (definition, etiology), Keys to Diagnosis (clinical manifestations, physical examination, diagnostic tests), Differential Diagnosis, Treatment, and Clinical Pearls. Contains new, high-quality images in a larger size for superb visual diagnostic guidance. Expert ConsultT eBook version included with purchase. This enhanced eBook experience allows you to search all of the text, figures, and references from the book on a variety of devices. 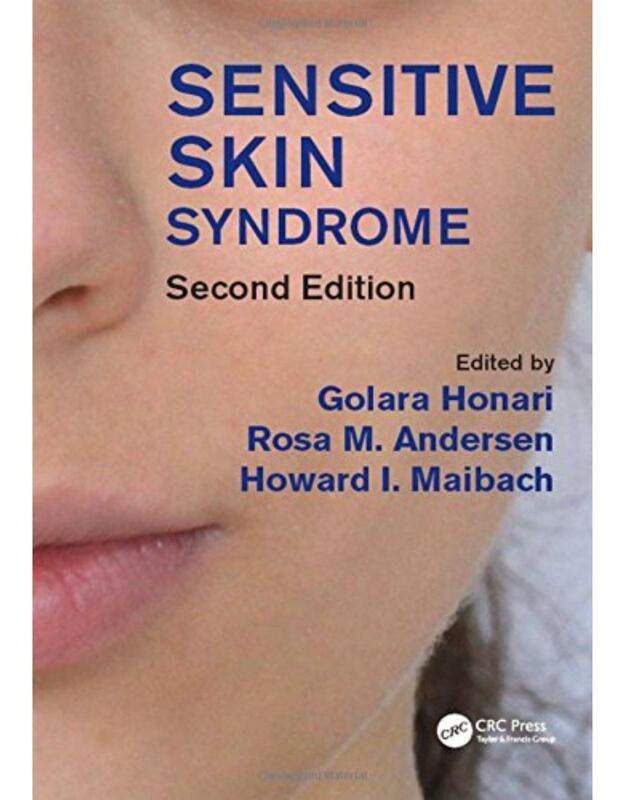 The best-selling text has been completely revised and revitalised in this fifth edition, with the authors once again encouraging general practitioners, medical students, general physicians and early stage dermatology specialist trainees and interns to relish the unique challenge of diagnosing and treating skin conditions. Clinical Dermatology, 5th edition contains over 400 high quality pictures and diagrams combined with colourful phrases to illustrate and entertain as it teaches. The book has established a reputation as a ‘way of learning’ and as an accessible guide to the subject for the aspiring specialist. Readers are guided through the maze that too often lies between the presenting skin complaint and its final diagnosis and treatment. The authors have skilfully crafted an easily read text with enough detail to clarify the subject, but not enough to obscure it. 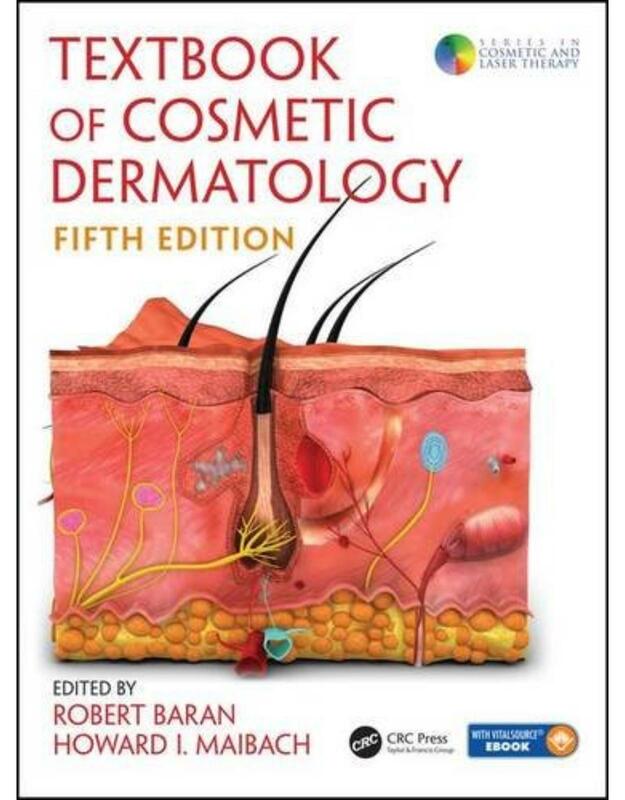 This fifth edition contains new chapters on non-invasive physical treatment and dermoscopy, and new material on cosmetic dermatology, surgical dermatology, the skin and the psyche, and dermatoses of non-Caucasian skin. 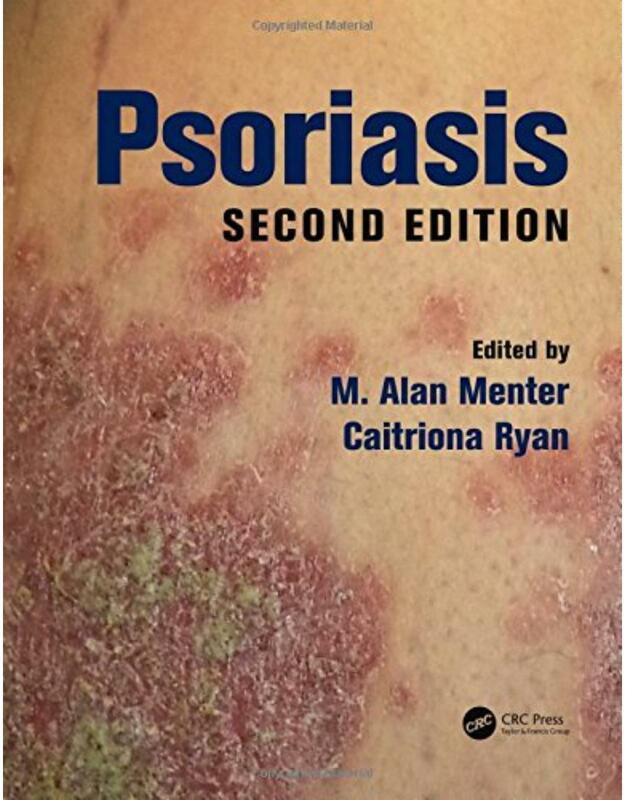 The new edition of a concise yet thorough illustrated review of the diagnosis and treatment of many forms of psoriasis now includes the many new therapies available and in development, as well as more material on psoriasis as a systemic disease and on comorbidities. This will be of interest to all dermatologists in training and practice, as well as primary care physicians. 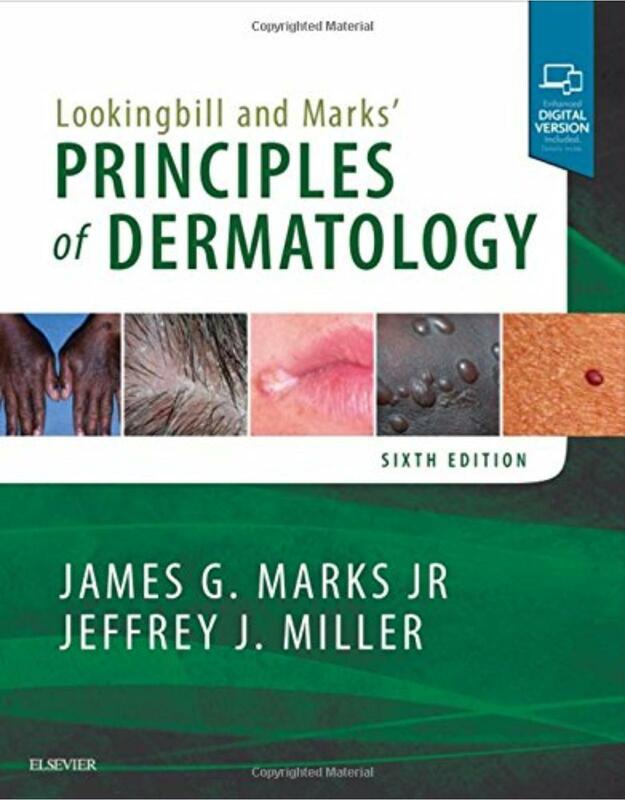 Intuitively organized by appearance rather than etiology, Lookingbill and Marks' Principles of Dermatology, 6th Edition, by Drs. James G. Marks, Jr. and Jeffrey J. Miller, is a concise, abundantly illustrated everyday reference for dermatologic diagnosis and therapy. 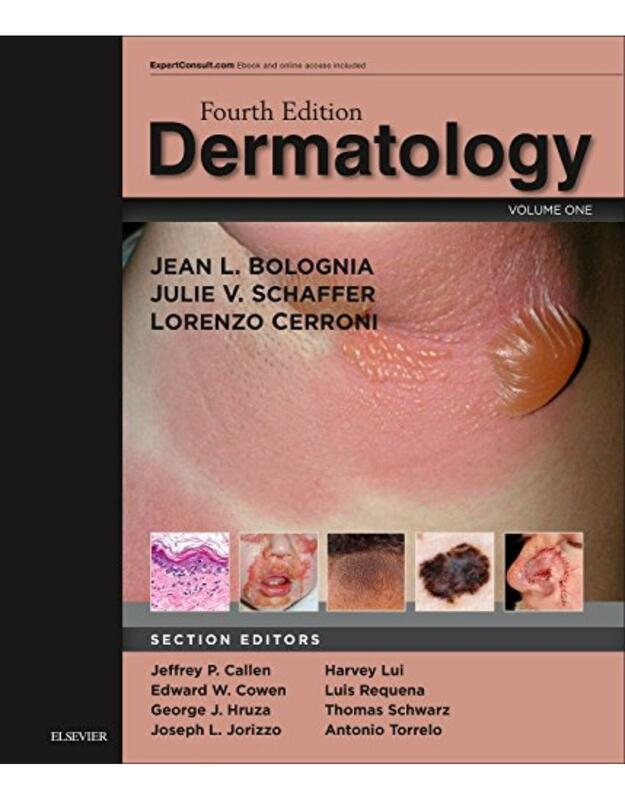 It offers expert guidance and overviews of essential information in dermatology, including key points, clinical pearls, differential diagnosis, and tables of first- and second-line treatments. Superb clinical photographs, full-color histopathology images, and corresponding cross-sectional line diagrams provide details on cause and condition. Provides self-assessment case reviews to test mastery of important material, therapy options in highlighted boxes, and additional photos of uncommon presentations at the end of each chapter. Helps you arrive at an accurate differential diagnosis with numerous tables that rank skin diseases according to frequency of incidence and highlight clinical features. Features new and expanded evidence-based treatment tables to keep you up to date with fast-changing treatments in dermatology and guide you toward the best treatments for your patients. Offers new coverage of common drug eruptions, as well as the latest therapies for common, difficult-to-treat skin disorders, such as acne, psoriasis, and eczema. Includes a more diverse range of skin color patient images throughout. Expert ConsultT eBook version included with purchase. This enhanced eBook experience allows you to search all of the text, figures, and references from the book on a variety of devices. Improve your technique, treat patients with confidence, and obtain optimal results using todays most advanced body shaping treatments with guidance from Body Shaping: Skin, Fat and Cellulite, a volume in the Procedures in Cosmetic Dermatology Series. Renowned cosmetic dermatologists-Drs. Orringer, Alam, and Dover-provide you with procedural how-to's and step-by-step advice on proper techniques, pitfalls, and tricks of the trade, equipping you to successfully incorporate the very latest for skin tightening, fat reduction, and sculpting procedures into your busy practice! 	Stay on top of cutting-edge techniques and topics including laser and lights; high frequency ultrasound techniques; and minimally- and non-invasive cosmetic procedures such as Cryolipolysis, Laser Lipolysis and Chemical Lipoolysis which provide optimal results with little or no recovery period needed for the patient. 	Offer your patients the best care and avoid pitfalls. Evidence-based findings and practical tips equip you with the knowledge you need to recommend and discuss the most effective treatment options with your patients. 	Expand your repertoire and refine your skills with a wealth of full-color clinical case photographs, "Before and After" photographs, illustrations, and procedural videos depicting cases as they appear in practice. 	Zero in on the practical clinical information you need to know with an easily accessible, highly templated format. 	Expert Consult eBook version included with purchase. This enhanced eBook experience allows you to search all of the text, figures, references, and videos from the book on a variety of devices. 	Expand your repertoire and refine your skills with a wealth of full-color clinical case photographs, "Before and After" photographs and illustrations. 	Video Editor, Nazanin Saedi, MD, presents well edited high definition procedural videos depicting cases as they appear in practice. Learn to accurately diagnose, prevent and treat all three acnes using both traditional and novel approaches to understanding the causes and selecting the most effective treatments. Acne vulgaris is an extremely common condition. It is troublesome to manage, often persisting into middle age. Exact causes are becoming clear and include several hormonal stimulants, some triggered by the Western diet, and a pathogen ignored for decades. Acnes rosacea and inversa (hidradenitis suppurativa) are discussed from entirely new viewpoints. 	Highly practical focus on prevention, treatment and prophylaxis based on emerging pathogenetic concepts Brought to you by one of the worlds leading authorities on the subject, Acne: Causes and Practical Management will be a valuable re-education for the dermatologist and all those who treat or suffer from these three conditions. 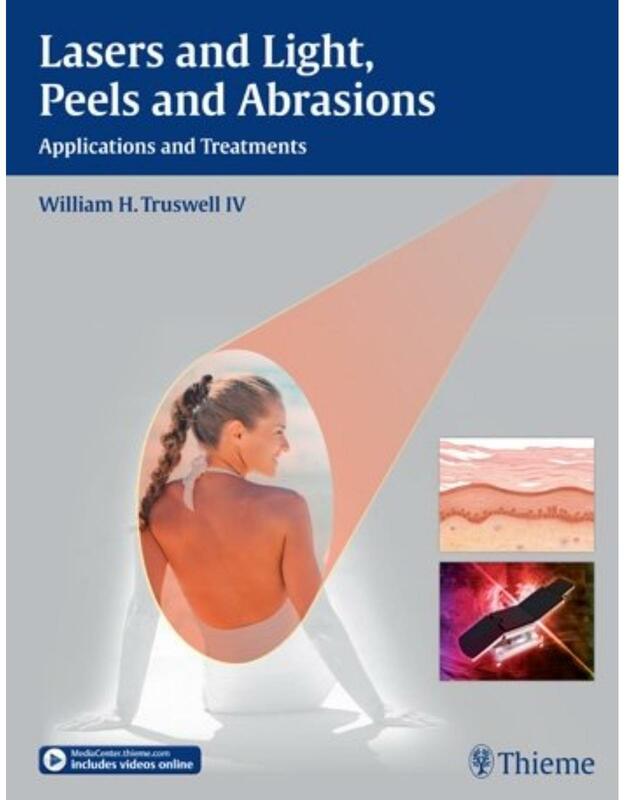 Lasers and Light, Peels and Abrasions for the Face in Health, Beauty, and Disease is a comprehensive clinical reference on all invasive and non-invasive treatments for aging, diseased, and congenitally deformed skin. Every treatment modality that's used for skin rejuvenation, scars, complications, vascular abnormalities, and ethnic skin type variations, and more, is explained in detail. This book is a practical guide to the diagnosis of dermatologic disorders. Each section presents clinical cases, followed by questions and answers, then an explanation of the clinical diagnosis and further investigations. 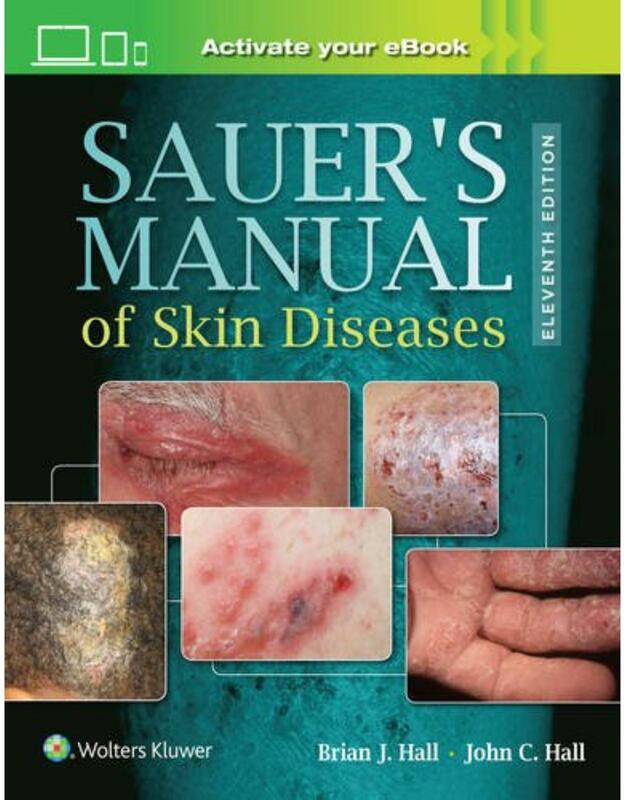 The text covers numerous different skin disorders, both common and rare, and details recent advances in the field. Topics are presented with an algorithmic approach to assist trainees in preparation for exams. The comprehensive text is highly illustrated by clinical photographs and tables to enhance learning. This text documents the science that lies behind the expanding field of cosmetic dermatology so that clinicians can practice with confidence and researchers can be fully aware of the clinical implications of their work. 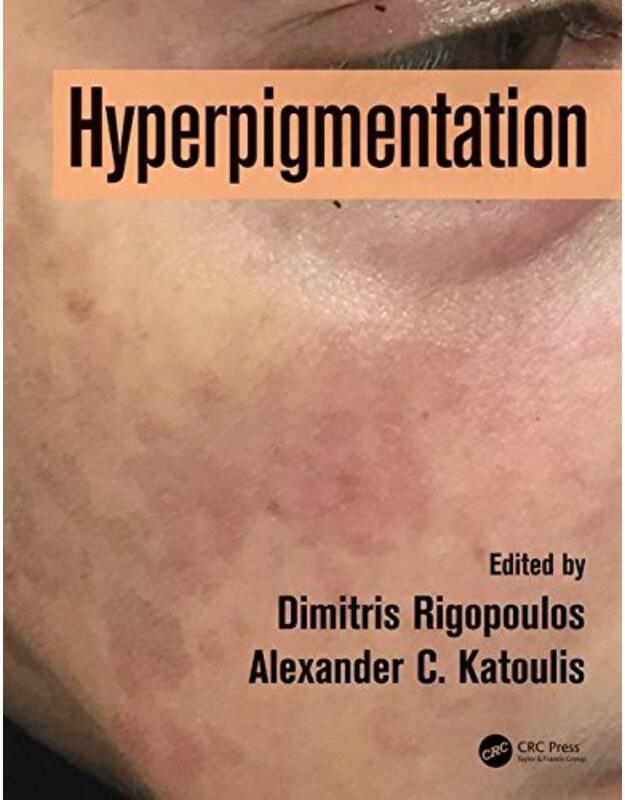 New chapters have been added to this edition on photodamage, actinic keratoses, UV lamps, hidradenitis suppurativa, age-related changes in male skin, changes in female hair with aging, nonabltaive laser rejuvenation, and cryolipolysis, and chapters have been updated throughout to keep this at the forefront of work and practice. The Series in Cosmetic and Laser Therapy is published in association with the Journal of Cosmetic and Laser Therapy. Skin Science and Parameters: Skin physiology and gender. Climatic influence on cosmetic skin parameters. Transepidermal water loss. Nail penetration. Pharmacology of Cosmetic Products and Ingredients: Sensitive skin: New findings yield new insights. Organic acids with novel functions: Hydroxy, bionic, N-acetylamino acids and N-acylpeptide derivatives. Retinyl propionate and related retinoids. Idebenone (hydroxydecyl ubiquinone). Antioxidants. Topical retinol: an efficacious solution for improvement of main photodamage signs. Applications of non-denatured soy in skin care. Kinetin. Urokinase and plasmin in dry skin and aging. Ceramides and the skin. 4-Hexyl-1,3-phenylenediol, an NF-kB inhibitor, improving clinical signs of aging. Perfumes. Survey of alternative and natural drugs in dermatology. Non-pathological Skin Treatments: Skin care products for normal, dry, and greasy skin. Self-tanning products. Astringents, masks, and ancillary skin care products. Regulatory overview of cosmeceuticals. Photodamage: Prevention. Photodamage and skin cancer: How successful are sunscreens as a means of prevention?. Photodamage: Protection and reversal with topical antioxidants. Actinic keratoses. Safety of UV nail lamps as used in professional nail salons. Specific Locations and Condition: Hair care. Dandruff and seborrheic dermatitis. The periorbital wrinkle. Cosmetology for normal nails. Cosmetics for abnormal and pathological nails. Evaluating hand and body lotions. Anticellulite products and therapies. Therapy of telangiectasia and varicose veins and their complications. Management of hirsutism and hypertrichosis. Pigmentation: Dyschromia. Treatment of keloids. Keratolytic treatment of acne. Hidradenitis suppurativa. Specific Groups: Age-related changes in male skin. Ethnic cosmetics. Ethnic variation in hair. Ethnic differences in skin properties. Changes in female hair with aging: new understanding and measures. The menopause, skin, and cosmetology. Cosmetological Treatments: Mesotherapy. Microneedles and cosmetics. Photodynamic therapy in dermatology. Cosmetic cryosurgery. Botulinum toxins. Soft tissue augmentation. Bioelectricity and its application in cosmetic dermatology. Chemical peelings. Lasers and light sources for vascular and pigmented components of photoaging. Nonablative laser rejuvenation. Cryolipolysis for non-surgical fat reduction. Assessment Techniques: Using the behind-the-knee (BTK) test to evaluate lotion transfer from products to skin. Assessing the efficacy of moisturizers. 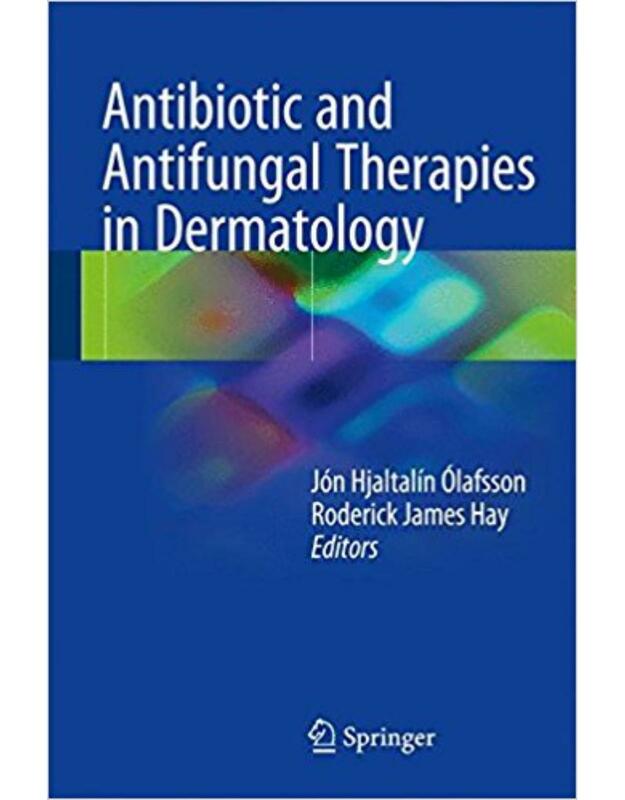 This book is an up-to-date practical guide to the treatment of both common and unusual bacterial, fungal, and protozoal skin infections. Antibiotics and other treatment options for common skin diseases such as acne, rosacea, erysipelas, and impetigo are extensively discussed, and a thorough update is provided on therapies for fungal infections in the nails, hair, and skin. Current treatments for skin symptoms associated with sexually transmitted diseases are also explored in detail. A range of mycobacterial infections are discussed, and a further chapter considers the treatment of protozoal infections, including leishmaniasis, which are often unfamiliar to practitioners in the Western world. This handy book, with its helpful graphics and clear lists of symptoms, treatments, and practical tips, will be an ideal quick reference for the busy practitioner. Darkening patches on the skin can result in great distress for the patient. However, definitive diagnosis between the many possible causes and effective treatment can be very hard for the medical practitioner to achieve. This is the first major professional reference with systematic coverage of diagnosis and the various treatment options, and it will be an indispensable clinical reference. Improve your dermatological diagnostic accuracy. The most efficient method in the diagnosis of skin diseases is the combined validation of clinical and histopathological features. The results of biopsy investigation in isolation dont always yield answers. But when considered together, the clinical pattern and the histopathology, then diagnosis can become clearer. In this process the diagnostic impact of histopathology may be decisive or just confirmative to the clinical differential diagnosis. The structure of the book follows a basic approach to morphology, which is overall orientation at scanning magnification first, then identifying a prototypic pattern, and finally finding the essential diagnostic clue(s) under high power magnification. Dermatopathology: Practical Differential Diagnosis by Clinicopathologic Pattern provides top quality images to correlate clinical presentations with histopathologic features. Annotated images highlight subtle indications that can clinch the diagnosis. Concise, bullet-pointed text provides further context. Written by internationally renowned authors, the book is ideal for anyone involved in the diagnosis of skin disease. 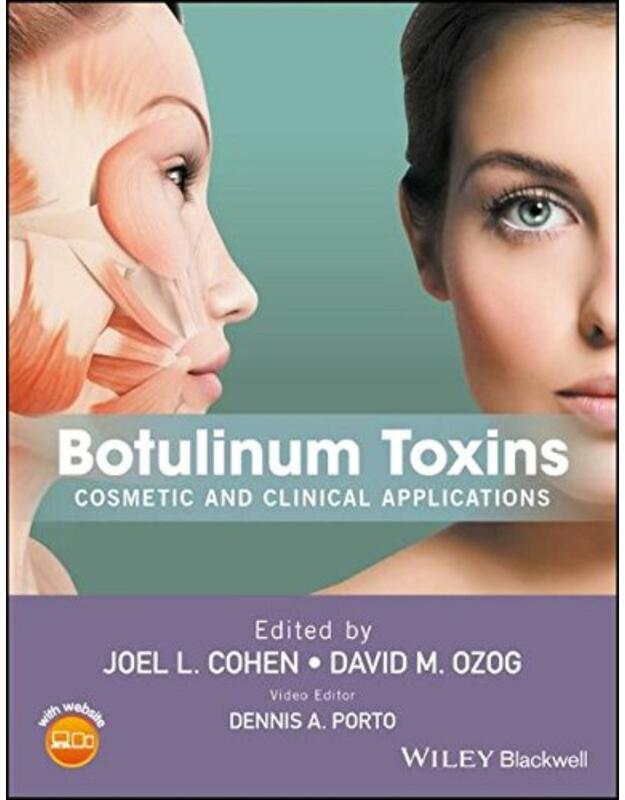 Botulinum Toxins: Cosmetic and Clinical Applications provides a comprehensive and in-depth review of the use of botulinum toxin for aesthetic procedures and medical applications as a stand-alone treatment and as part of combination therapy. Now a mainstay of cosmetic dermatologic practice, the range of available toxins and their varied applications has grown considerably in recent years requiring the practitioner to carefully consider what approach best suits the needs of their patient. This new book, written by international expert authors, provides guidance to help you refine your technique, add new procedures to your practice, and provide optimal results. Offer your patients the best care, stay on top of cutting edge techniques, and avoid pitfalls with coverage of practical tips and real cases. Botulinum Toxins in Dermatology: Cosmetic and Clinical Applications provides best-practice guidance on the contemporary use of botulinum toxin in isolation and in combination. Challenging Cases in Rheumatology and Diseases of the Immune System is the latest title in a growing collection of thought-provoking case-based titles from Massoud Mahmoudi, D.O., Ph.D. Like his three preceding titles, Challenging Cases in Allergy and Immunology (2009), Challenging Cases in Allergic and Immunologic Diseases of the Skin (2010), and Challenging Cases in Pulmonology (2011), this easy-to-read title presents the topic in a challenging and enjoyable case-based format. Developed by 30 distinguished contributors, the book consists of six parts and 16 chapters, with each chapter presenting two cases. The style of this title follows the previous books: each topic begins with an abstract, followed by a case presentation, working diagnosis, data, final diagnosis, and discussion. In addition, to enhance a review of the subject and stimulate critical thinking, there are 5 to 10 multiple choice questions and answers in each chapter. Challenging Cases in Rheumatology and Diseases of the Immune System is an indispensable resource for all clinicians who care for patients with rheumatic and immunologic disorders. 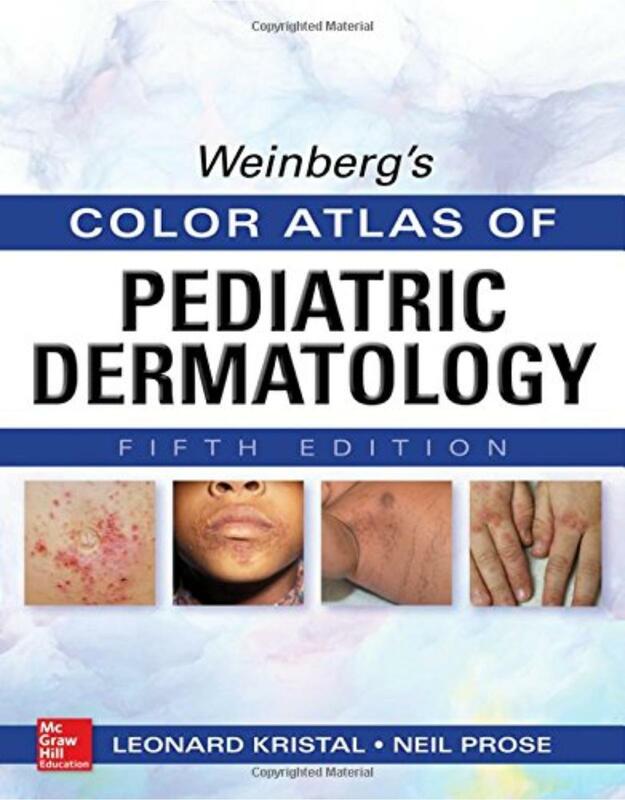 Weinberg’s Color Atlas of Pediatric Dermatology, Fifth Edition delivers an unsurpassed collection of more than 1,000 full-color images that provide invaluable guidance for the diagnosis of both common and rare skin disorders of neonates, infants, and children. Trusted by clinicians for more than forty years, this classic reference has been hailed for its clear, high-quality, full-color photographs and concise yet informative textual summaries. For each condition reviewed in the text, one or more clinical photographs are included, making differential diagnosis faster, easier, and more accurate. A brief, yet thorough overview of important clinical features, etiology, prognosis, and the most current therapeutic approaches is included for each disorder illustrated. Every page reflects the book's magnificent atlas format, with photographs linked to concise text that authoritatively describes the condition illustrated in each image, along with, in most cases, a one-sentence summary of suggested treatment protocols. If you are searching for an up-to-date, time-tested, visual resource that has been enthusiastically received by your colleagues in dermatology and pediatrics, your search ends here. Diagnosis and Treatment of Fungal Infections, 2nd Edition is a thorough update to Diagnosis and Treatment of Human Mycoses. Globally recognized experts are brought together again to provide the latest research and clinical evidence on fungal infections and basic mycology. This concise text is divided into sections dedicated to the patient approach, laboratory and radiological diagnosis, antifungal agents, mycoses and instructive cases. Ideal for patient care or as a teaching guide, the busy infectious disease, hematology, oncology, pulmonology, or critical care specialist will find this resource to be a practical tool for diagnosing, treating, and managing patients with fungal infections. This book on the diagnosis and treatment of fungal diseases focuses on specific fungal infections and reviews antifungal agents. 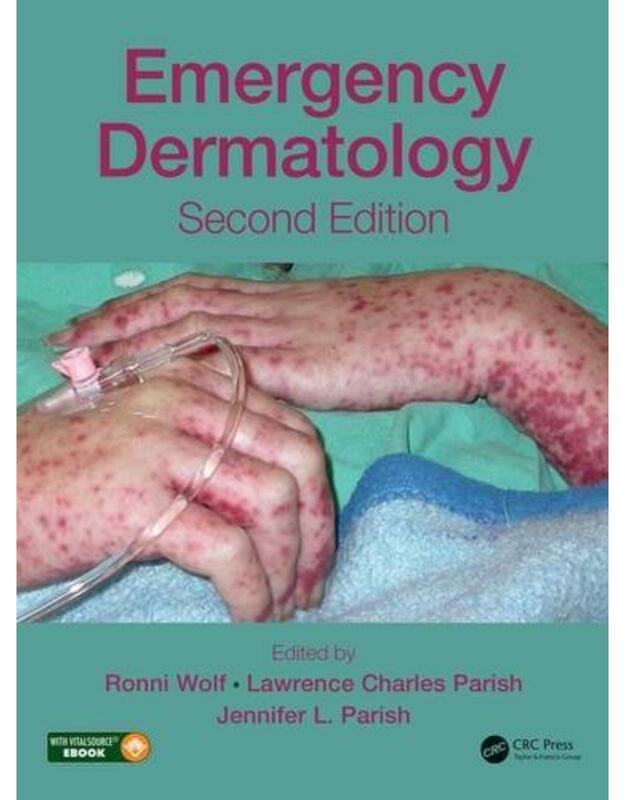 This book should appeal to learners who are interested in fungal infections or clinicians who treat these patients. It will be helpful to almost any clinician who may encounter patients with fungal diseases. The 12th edition of this classic reference, by esteemed authors William D. James, MD, Timothy G. Berger, MD, and Dirk M. Elston, MD, provides state-of-the-art information on newly recognized diseases, new conditions, and unusual variants of well-known diseases, as well as new uses for tried-and-true medications and unique drugs for diseases as disparate as melanoma and rosacea. 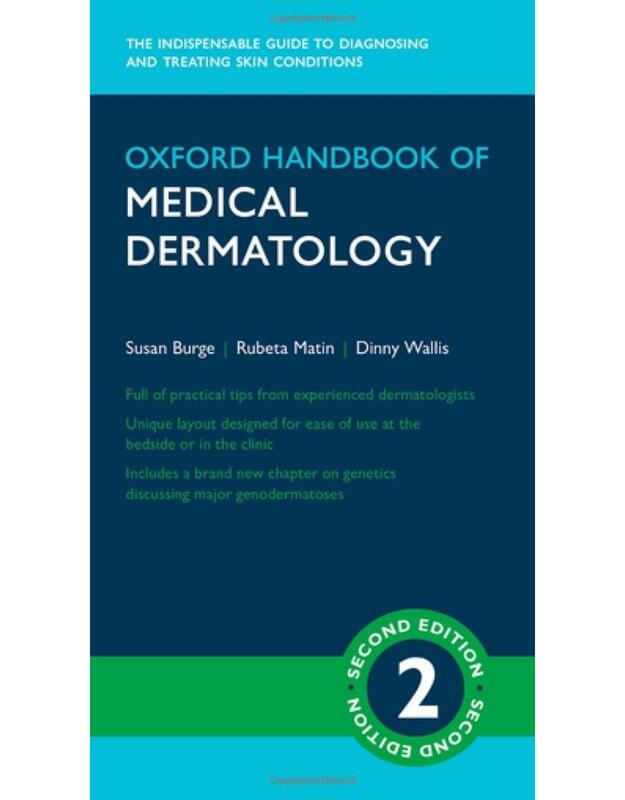 Its your ideal go-to resource for clinical dermatology, at every stage of your career. .
	Still the only one-volume, go-to dermatology text! 	Practice with confidence through the valued authorship of seasoned professionals Dr. William D. James, Dr. Timothy G. Berger, and Dr. Dirk M. Elston. 	Rapidly improve your knowledge of skin conditions through a concise, clinically focused, user-friendly format. 	Obtain thorough guidance on clinical presentation and therapy for a full range of common and rare skin diseases. 	Ensure that youre up to speed with the hottest topics in dermatology, including drug eruptions from new medications, new therapeutics for melanoma, as well as viral infections, biologic agents, and newly described gene targets for treatment. 	NEW! Watch videos of surgical techniques online at expertconsult.com. 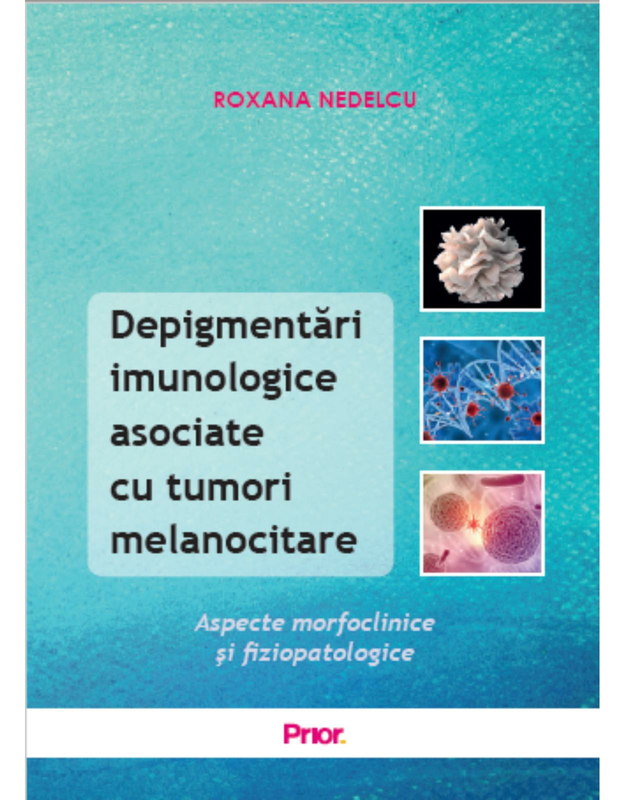 	Broaden your knowledge with updated information on serological diagnosis of pemphigus, TNF-I for hidradenitis suppurativa, the use of immunosuppressives for atopic dermatitis, excimer laser for the treatment of vitiligo and much more. 	Quickly access hundreds of new images depicting a wide variety of skin conditions. 	Stay up to date with recent society guidelines, including the latest from the American Academy of Dermatology, covering a variety of conditions such as melanoma and atopic dermatitis. 	Expand your clinical repertoire and meet your patients expectations with coverage of the most recent cosmetic agents, their indications, and possible complications. 	Expert Consult eBook version included with purchase. This enhanced eBook experience allows you to search all of the text, figures, and references from the book on a variety of devices. This guide to dermatological treatments provides concise yet comprehensive, up-to-date overviews of treatment guidelines and pearls for a plethora of skin diseases. It is divided into three main sections that address the many different skin diseases, the drugs available for dermatological treatments, and the various methods applied in dermatology, including fillers, botulinum toxin, lasers, dermoscopy, cryosurgery, and electrosurgery. 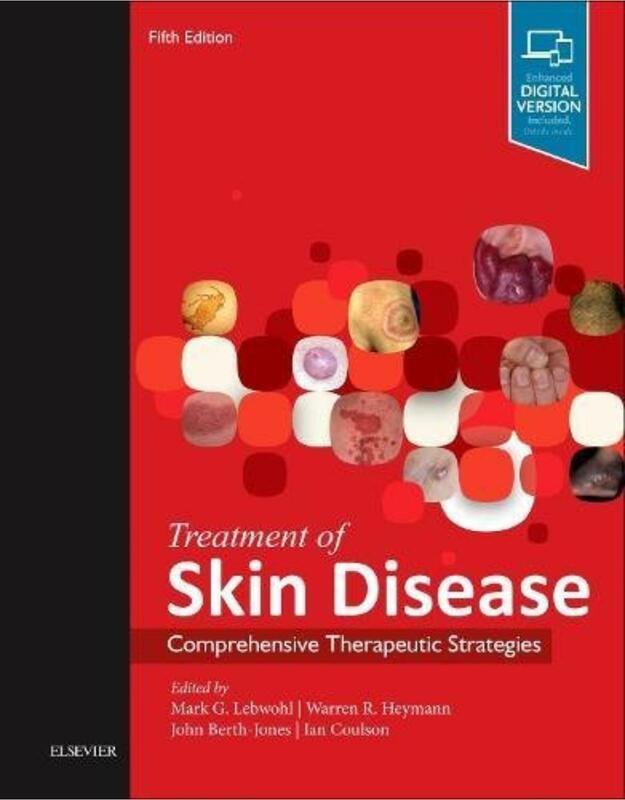 Each skin disease-focused chapter describes current treatments while also providing a brief synopsis of etiology and clinical presentation. Treatment indications and contraindications, modes of action, and dosages are clearly identified. 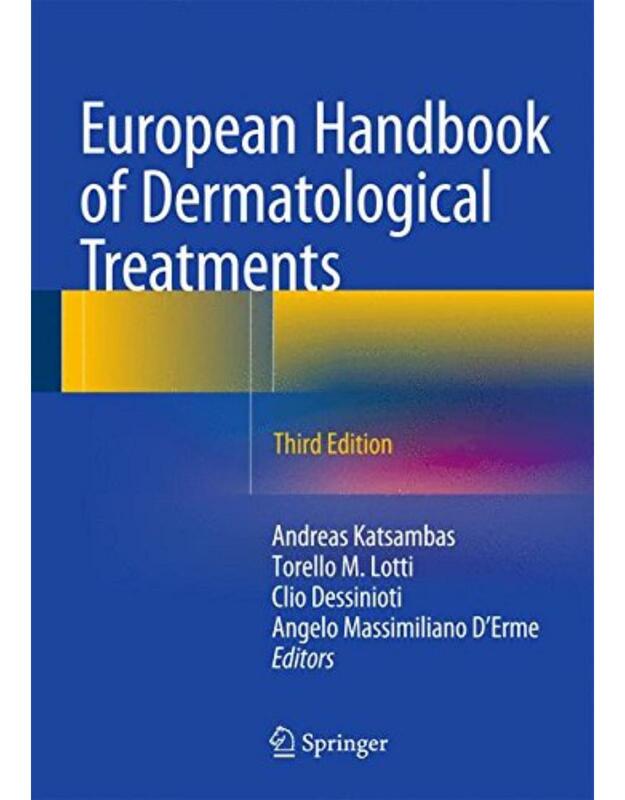 This third edition of the European Handbook of Dermatological Treatments has been extensively revised to reflect the advances of the past decade, including biologic agents for psoriasis, also used as promising off-label treatments in other skin diseases, targeted agents for malignant melanoma and basal cell carcinoma, and new treatment modalities for rosacea, acne, atopic dermatitis, and urticaria, to name but a few. The successful easy-to-use format is retained in this new edition, which is enriched with clinical photos that will make reading a pleasurable as well as a learning experience. Summary :The Art of Skin Health Restoration and Rejuvenation, Second Edition presents a comprehensive review of Dr. Zein Obagi’s renowned skin care regimens and his techniques for revitalizing skin. Fully demonstrated and explained are Dr. Obagi’s skin peels and his approach to correcting sun damage, control of the pigmentary system, the stimulation of skin collagen, and how to restore skin elasticity. 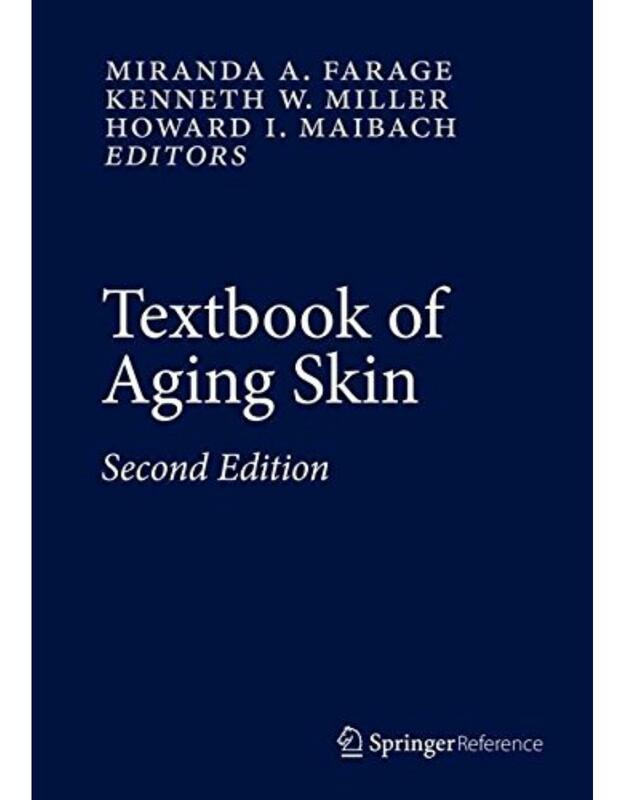 With more than 200 illustrations, a presentation of Dr. Obagi’s skin classification system, and a special section on combining laser skin resurfacing with other techniques, this volume is a valuable resource for the plastic surgeon, dermatologist, and cosmetic facial surgeon. Practical guidance based on expert experience and evidence for developing management strategies for vitiligo This complete guide to vitiligo provides a full appraisal of strategy for the treatment of this autoimmune disease that affects 1-2% of the world?s population. It addresses all aspects of vitiligo, covering the science, medical and surgical therapies, and the psychological evaluations and approaches based on the proper understanding of the causes and classification of a particular case. Management of vitiligo is challenging and requires a multipronged approach. Vitiligo: Medical and Surgical Management is a comprehensive, timely, state-of-the-art resource that will help those involved with affected patients better understand and treat this disease, which takes its toll on the mental wellness of those afflicted by it. It takes an evidenced-based approach to the disease?s treatment; provides an overview of the surgical management; covers tissue and cellular grafting; and more. ? Thoroughly guides those involved in the clinical aspects of vitiligo ? Aids diagnosis and classification of severity ? Balances evidence and experience ? 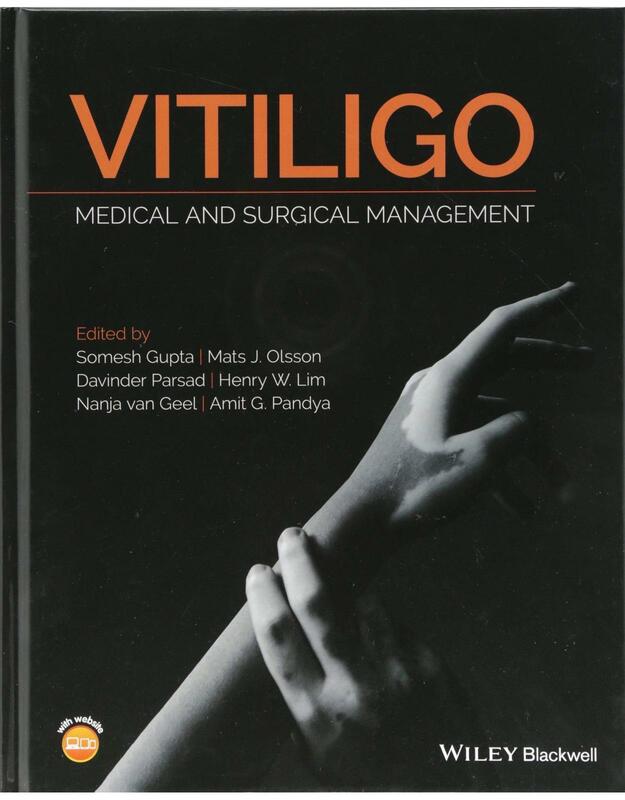 Compiled by world-leading expert editors Comprehensive in nature, Vitiligo: Medical and Surgical Management contains a strong practical element, and is a welcome go-to source for practicing dermatologists and those training to become a dermatologist. 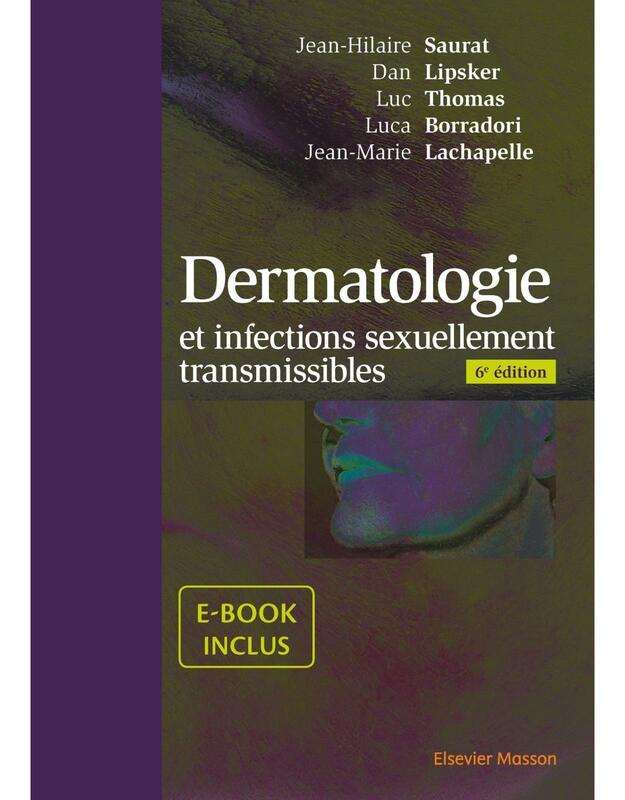 La 6e édition du traité de dermatologie La référence incontournable en langue française de la discipline Cher lecteur, que, dermatologiste établi, vous ayez étudié dans lune des 5 éditions précédentes, de 1986 à 2008, puis gardé à portée de la main chacune des éditions suivante. Cette 6ème édition sera encore plus utile pour vous que toutes les précédentes... Ceci parce que le volume des connaissances a explosé en 8 ans, et parce que la pertinence clinique de ces connaissances nouvelles a redistribué les cartes dans la pathogénie, la nosologie et le traitement de nombreuses dermatoses. Et imposé un travail considérable dadaptation didactique. Cette édition est luvre dune équipe éditoriale de coordination renouvelée, et de 245 auteurs, choisis parmi les plus experts de la spécialité. La déclinaison de cette nouvelle édition en e-book offre un outil daccès simple, pragmatique, et donc utile à la pratique dune dermatologie du xxième siècle. J.-H. SAURAT NOUVEAUTÉ: LOFFRE COUPLÉE 2 EN 1: LE LIVRE + E-BOOK  Une présentation attractive spécialement conçue pour lusage en mobilité  Il peut être consulté sur divers dispositifs de lecture (liseuse, ordinateur, tablette, smartphone)  Rédigé par près de 200 experts francophones de la dermatologie  1000 illustrations de qualité exceptionnelle, sélectionnées pour leur exemplarité pédagogique  Présentation cartésienne qui suit le raisonnement diagnostic du praticien: Symptôme, examen clinique, diagnostic et thérapeutique  Table des matières détaillée et un index complet et rigoureux qui permettent un accès rapide à linformation recherchée  Nouvelle maquette avec jeu de couleur qui permet un parfait repérage dans le volume et des encadrés de synthèse qui mettent en évidence des points clés Cette 6e édition est profondément remaniée : Lintégralité du traité a été revue et mise à jour: pathologie, recommandations et thérapeutique. Les troubles de la différenciation épidermique, la pigmentation cutanée, les génodermatoses, les tumeurs, les maladies bulleuses et les principes thérapeutiques ont été profondément actualisés, intégrant notamment lavancée spectaculaire des biothérapies qui ont parfois révolutionné les concepts pathogéniques sur plusieurs maladies de la peau. Une table des matières détaillée et un index complet et rigoureux permettent un accès rapide à linformation recherchée. Outil indispensable aux dermatologistes praticiens et aux internes en formation, ce traité ouvre également le champ des compétences des internistes, allergologues et pédiatres sur les maladies de la peau. The books content breakdown attempts to reflect the proportion of time, effort, and training required for a given subject. For example, there are five full chapters (in addition to numerous other sections) dedicated to Mohs surgery. 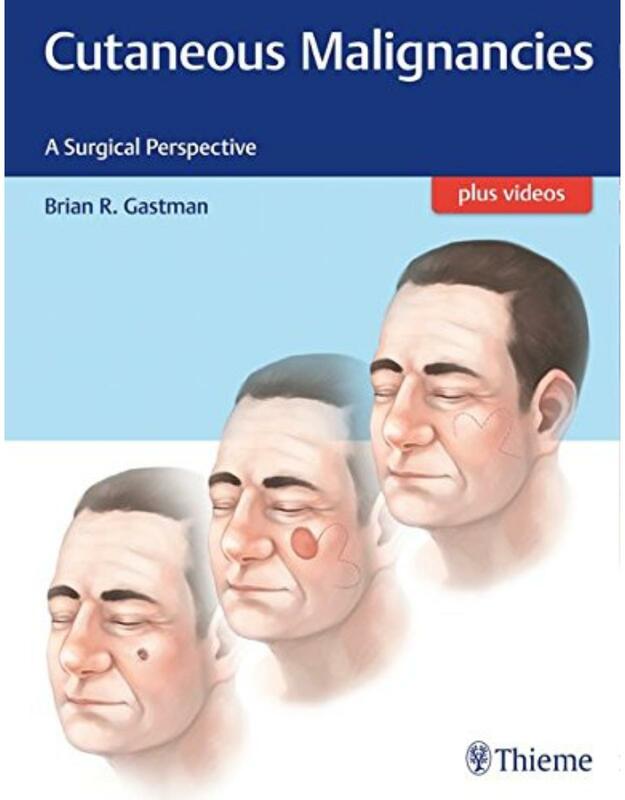 Similarly, a total of 17 richly illustrated chapters, including those devoted to particular flap techniques and regional approaches to reconstruction, address flap and graft closures. Since anatomy is the foundation on which all surgery is built, the anatomy chapter was built on a true ground-up cadaveric study of head and neck anatomy with an eye to clinical relevance. Full-length high-quality videos are an essential adjunct to learning procedural techniques, and this text includes the largest video resource of its kind ever compiled. 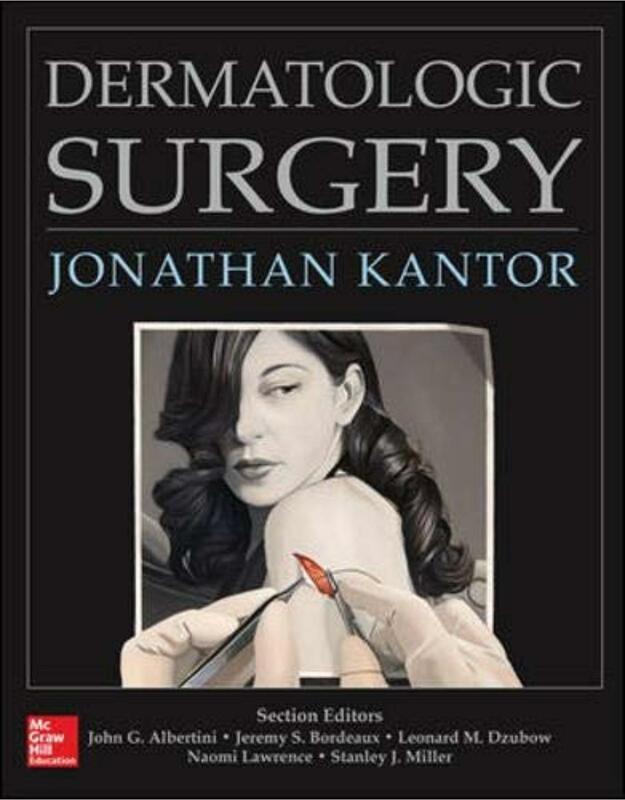 This coupled with almost 3, 000 high-quality clinical photographs and nearly 500 professional medical illustrations, including infographics with surgical pearls for each chapter  many bolstered by beginner tips, expert tips, cautions, patient education points, and even billing tips  make this a true primer for real-world skin surgery practice. 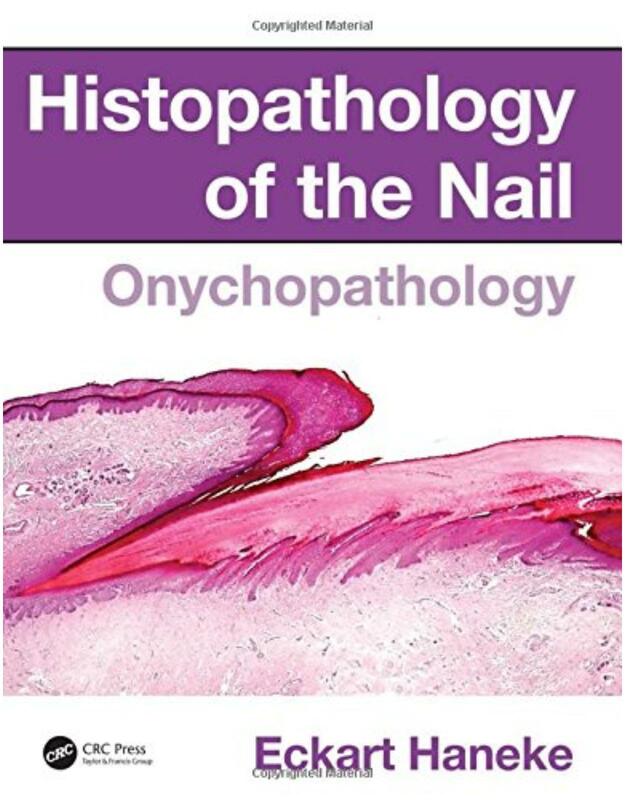 The fifth edition of Baran & Dawber's Diseases of the Nails and their Management continues to offer an encyclopedic account of the human nail that is unparalleled in its detail and scope. With contributions from some of the worlds leading dermatologists, the book's exhaustive coverage encompasses the cosmetic and therapeutic management of every form of nail disease. High-quality images and diagrams illustrate and enhance this essential reference guide, while easy-to-navigate sub-chapters help you to find the information you need quickly and accurately. 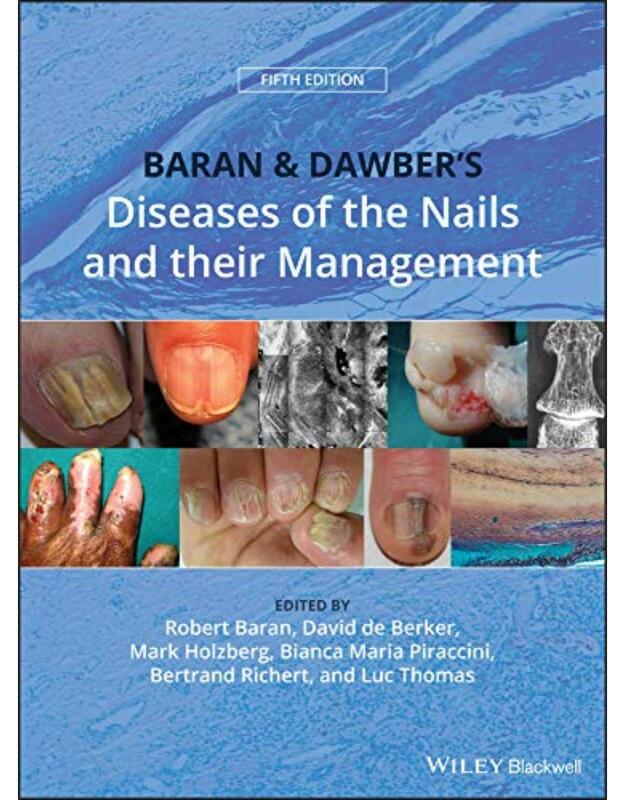 Whether they are new to the field or have been practicing for years, dermatologists, podiatrists, and all of those managing patients with nail diseases should have a copy of Baran & Dawber's Diseases of the Nails and their Management at their disposal. 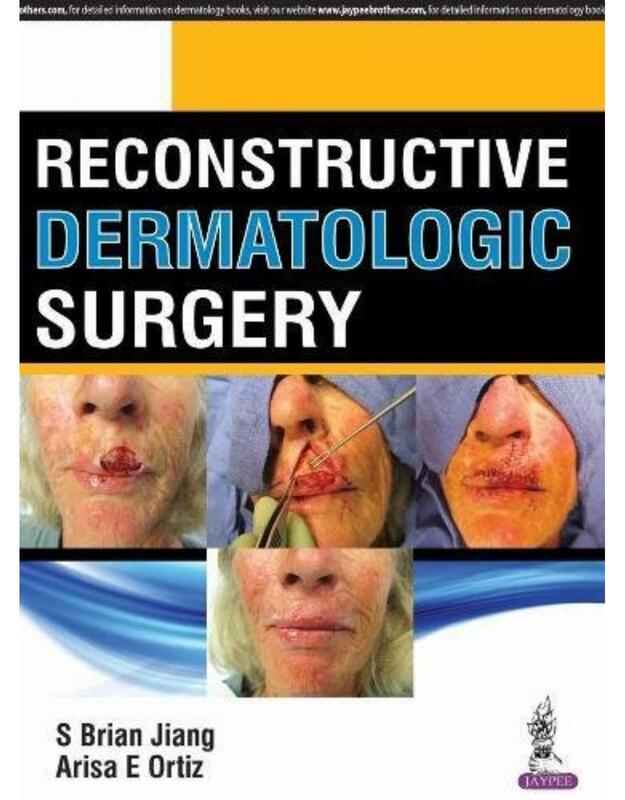 Learn how to perform basic and advanced skin surgery with this combination text and atlas Written in clear, concise language, and backed by the latest evidence, Procedural Dermatology is a practical guide for performing all types of skin procedures for both medical and cosmetic problems. Procedural Dermatology opens with a section on Surgical Principles, that discusses essentials such as head and neck anatomy, preoperative evaluation, anesthesia, aseptic technique, antibiotics, wound healing, and postoperative care. The next four sections (Surgical Skills, Skin Tumors, Aesthetic & Laser Procedures, and Aesthetic Problems) cover the different types of surgical procedures, describing them in step-by-step fashion, with each step illustrated with line drawings and photographs. Procedural Dermatology compiles current, state-of-the-art information valuable to all practitioners of dermatologic surgery, from the trainees to seasoned surgeons wishing to refine their skills. The unquestioned leader in dermatopathology resources, Weedon's Skin Pathology returns with expanded and updated coverage in this specialized field of pathology. Offering an enhanced emphasis on differential diagnosis, new author Dr. James W. Patterson provides the most clinically relevant developments in molecular biology and techniques while maintaining Dr. Weedon's consistent, uniform approach to the subject. 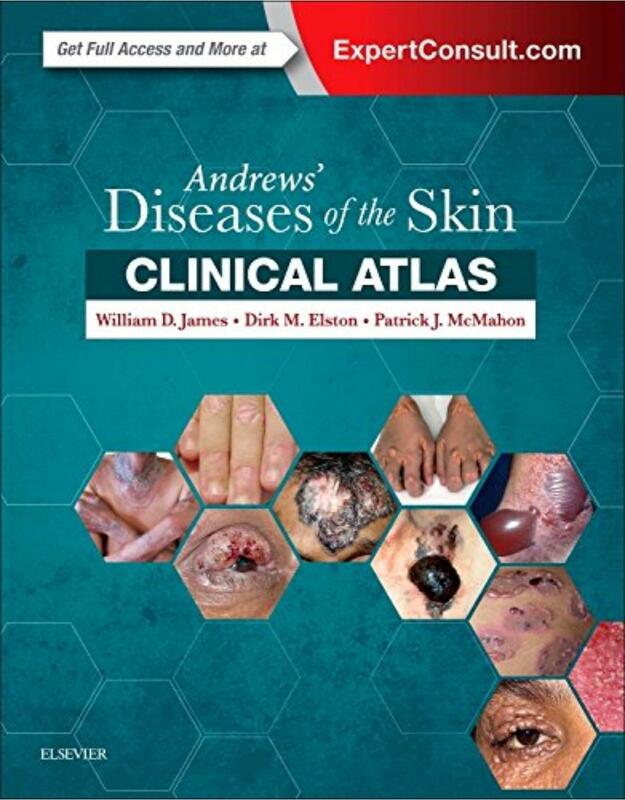 From practitioners and specialists to pathologists and dermatologists, this medical reference book is an essential addition to any dermatopathological library. Gain a full understanding of established disorders, unusual and rare disease entities, and incompletely defined entities. Immerse yourself in over 1,200 large-sized, high-quality illustrations. Provide the most accurate diagnoses possible with a design that reproduces what is seen through the microscope, thereby helping identify the characteristic features of the lesion demonstrated. Readily access important information through tables and boxes that organize diseases into groups, synthesize diagnostic criteria, and list differential diagnoses. Facilitate the identification of both key articles and more rare and unusual reports with remarkably authoritative, comprehensive, current, and relevant reference lists (over 35,000) for each entity. Explore in-depth and updated topics covering clinically relevant developments in molecular biology and molecular techniques. Easily comprehend complex issues with improved illustrations focusing on rare conditions and unusual manifestations. Accurately interpret difficult specimens through an increased emphasis on differential diagnosis. Take advantage of expanded content in sections including Drug Reactions, Tumors, and Infections and Infestations. The third edition of this highly regarded text continues to provide a comprehensive resource for pediatric dermatologists. The book offers evidence-based diagnosis and treatment recommendations and covers both common and rare conditions, including emerging conditions and research, especially at the genetic level. A refreshing new text design makes the book more accessible, and new editors and contributors bring a distinctly international perspective to the work. Provides the in-depth, expert information you need to address challenges you face in practice across all subspecialties - including medical dermatology, pediatric dermatology, dermatopathology, dermatologic surgery, and cosmetic dermatology. Uses the famous "easy-in, easy-out" approach, transforming complex information into more than 1,000 reader-friendly tables and algorithms, along with templated chapter contents for quick recognition and access. Focuses on the essential "need-to-know" basic science information and key references. Brings together an esteemed team of expert editors and contributors that provide a truly global perspective, led by Drs. Jean L. Bolognia, Julie V. Schaffer, and Lorenzo Cerroni. 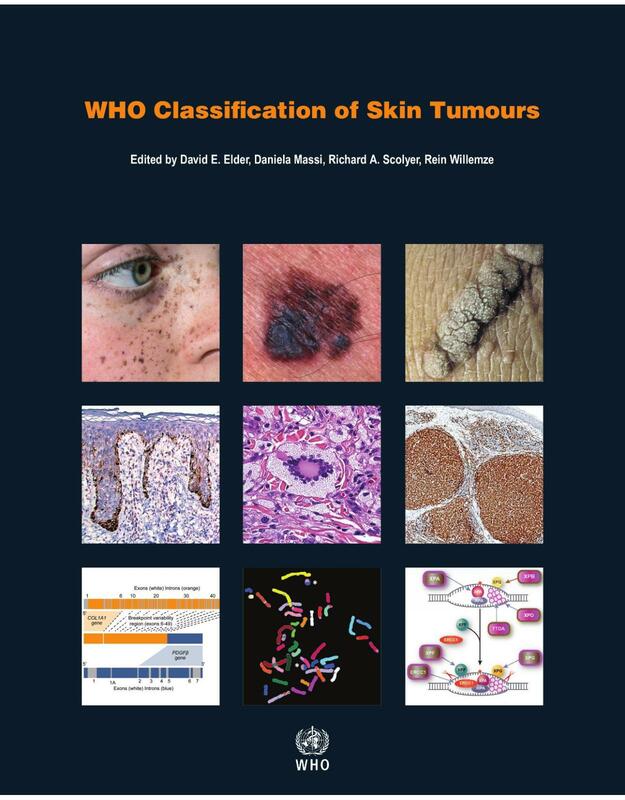 Includes over 4,000 illustrations, with over 2,000 new images in this edition, that provide more examples of skin disorders across different skin types in varying stages of presentation; plus enhanced histologic images that provide a clearer understanding of clinicopathologic correlations for multiple skin disorders. Enhances learning opportunities with 20 new video clips of core procedures, including nail surgery, flaps, grafts, laser therapy, soft tissue augmentation, and botulinum toxin injections, plus 200 bonus online images. Features 70 brand-new schematics and algorithms to better aid diagnosis, optimize decision making, and improve your approach to each patient. Includes the latest therapy options with supporting evidence-based grading levels. Expert ConsultT eBook version included with purchase. This enhanced eBook experience allows you to search all of the text, figures, and references from the book on a variety of devices.